For most people, repairing credit after bankruptcy seems impossible. I’m broke and my credit is trashed, they think. I’ll just have to wait a decade before the bankruptcy falls off my credit report. But nothing could be further from the truth. In fact, wiping your hands of credit and becoming a cash-only citizen is the single worst thing you can do after a bankruptcy. On the surface, it seems to make sense: Since credit is what got you in trouble in the first place, giving it up seems wise. But if you really want to find the best way to begin repairing credit after bankruptcy, you actually have to use credit. Of course, you shouldn’t go out and start buying things willy-nilly. You must follow a strategic three-part plan. That’s not true. In a minute, I’m going to show you how to get credit cards so you can begin repairing credit after bankruptcy. But first, I want to tell you why this rule is so important. The three credit-scoring bureau Experian, Equifax, and TransUnion use a formula to determine your credit score. The formula places more weight on current behavior than it does on past behavior. This makes sense the formula assumes that a person’s current behavior is a better indicator of their future behavior. If you have a bankruptcy, and then don’t do anything, you aren’t giving the credit bureaus any new information upon which to judge you. So your score won’t budge. But if you open new lines of credit and start paying them responsibly, you are giving the credit bureaus new information about yourself. You are telling them that the bankruptcy gave you an opportunity to wipe the slate clean and start practicing responsible financial habits. Here’s your game plan to begin repairing credit after bankruptcy. Open three new revolving credit cards. Open them all at once. The credit-scoring formula assigns higher credit scores to people who have older accounts. When you open a new account, it lowers the average age of your accounts. So although opening three new revolving credit cards at once will initially hurt your score, you will be better off in the long run. Look for “secured credit cars.” Like I said, a lot of people think they cannot get credit. It is true that you will have a hard time getting a traditional credit card. That’s okay. Instead, apply for a secured credit card. Avoid retail store credit cards. 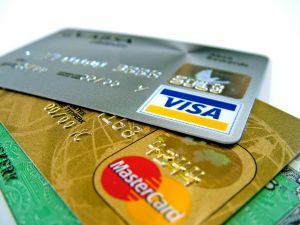 Retail credit cards are sometimes easier to open than the major credit cards, but nonetheless, you should only open Visa, MasterCard, American Express, or Discover cards. The ideal number of credit cards is three to give. Why waste a spot on a card than can be used only at one store? Another way to show the credit bureaus that you have changed your patterns of behavior is to open an installment loan. You won’t have much luck qualifying for a $15,000 installment loan, plus you will have high interest loans, so you should take out a small installment loan instead. Aim for a $1,000 installment loan, which you can use to buy a new piece of furniture, computer, or something else that you can be purchased on installment. To avoid paying a ton of interest, pay the balance within six months. If you have declared bankruptcy, you have a big, fat warning sign next to your name. The bureaus are going to pounce on you if you make even a tiny mistake. Remember that you must never give the bureaus any indication whatsoever that you are back to your bad habits. Keep the balance on your credit cards as low as possible ideally, 10 percent of the limit. And pay those bills on time! My parents have almost had to file for bankruptcy. They were fortunate to avoid it, but their credit score really took a hit anyway. It was interesting for me to learn about the formula that companies use to determine credit. I did not know that doing nothing after bankruptcy was not a good idea, so thank you for the tips! This is good information for anyone who is on a retirement plan and finds themselves in a jam at some point prior to retirement.